Dimitri Neaux and colleagues have published a series of comprehensive analyses on the influence of the cranial base in facial morphology of humans and apes. In one of the papers, they assessed the integration between the face and the two basicranial modules: the sagittal and the lateral cranial base. They tested the covariation between the three sets of 3D landmarks (face vs. midline base and face vs. lateral base) on modern humans and chimpanzees, separately. Only the correlation between the face and the lateral cranial base was significant, confirming the important role of the lateral cranial base in facial morphology. Though the levels of covariation were comparable, the patterns differed between the two species, as taller faces were associated with wider and shorter cranial fossae in chimps and with longer and narrower cranial fossae in humans. In another article, they assessed the relationship between cranial base flexion, facial orientation, and facial shape in modern humans, chimpanzees, and gorillas. Using 3D landmark analysis, they evaluated the within-species patterns of covariation, confirming the intraspecific relationship between facial structures and base flexion. Base flexion is associated with downward rotation of the facial block in both humans and chimps (confirming previous works) but not in gorillas. On the other hand, an upward rotation of the facial block is associated with anterior face vertical elongation on the three species. In humans, facial elongation is also associated with base flexion, which might have been selected during evolution to match the elongation of the nasomaxillary complex, as proposed before. The authors further tested whether increased base flexion is associated with the shortening of the facial length or with the decrease of facial projection. The relationship between base flexion and facial length was only observed in chimps, while facial projection was not related with cranial base flexion in chimpanzees and gorillas. In humans, contrary to what was expected, basicranial flexion was associated with increasing facial projection, which the authors attribute to sexual dimorphism, as males have increased base flexion and facial projection. Again, the main patterns of correlation differed between the species. Cranial base angle is negatively correlated with facial projection in modern humans, with facial length in chimps, and with the angle between the posterior-maxillary plane and the anterior facial plane in gorillas. 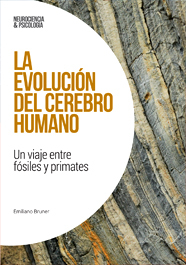 As the authors conclude, these differences in the patterns of integration might reflect changes in the structural relationships between the face and the cranial base during hominoid evolution.